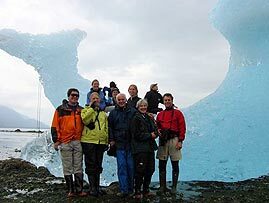 Custom Alaska Cruises offers an ideal way to take the whole family on an Alaska small ship cruise. One of the biggest benefits of a small ship cruise through Alaska's Inside Passage is that you can get up close and personal to many of Alaska's best attractions. Including: icebergs, glaciers, bears, eagles, whales and more. This is something that you can't experience on a large ship cruise! Also, with Custom Alaska Cruises you can choose precisely which destinations you visit, how long you stay at those locations, and exactly what activities you do while on your cruise. Best of all, everything is All-Inclusive, so there will never be an additional bill when you disembark. Schedule an Alaska small ship cruise today! We offer a variety of activities for the entire family, including kids. 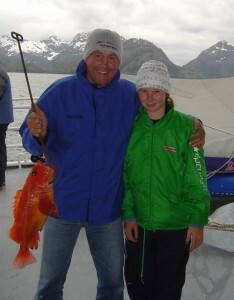 Fishing from one of our boats or on a chartered fishing boat can be fun for members of your family. Maybe the more adventuresome might like to take the kayaks out for an afternoon or hike up soaring mountain ridges for spectacular views of wild Alaska. Others may enjoy combing the beaches or building fires. The our boats' smaller size allows access to places that larger cruise ships just can't reach. And since you set the itinerary for your family-friendly cruise, you can choose to spend as much time as you like at any location. 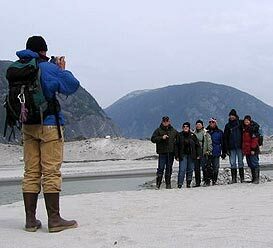 What better way to learn about Alaska than to see it up close, and in the company of family. The memories of hiking glaciers, catching salmon and halibut, and spotting whales will last a lifetime. We can easily sleep 12 people, so there is room to bring everybody on our family cruise ship. Enjoy some high quality family time in awe-inspiring Alaskan wilderness. There's something for everybody; come and experience the Alaskan cruise of your dreams. "Fun for all, 8 to 80! Thank you for exceeding our wildest expectations for the best family vacation ever. " "We enjoyed the entire trip tremendously! It was more then we ever could have imagined. It was a fabulous five days with you! We still miss your smiling faces and are enjoying reliving the time together by viewing the pictures! The staterooms were more then we ever expected - the food was fabulous. The hiking was fun,was a huge thrill for the kids in particular. You spoiled us all rotten and we loved it! Thank you for the great adventure! We miss you guys!" A family cruise doesn't have to be all about doing every single thing en-mass either. There is so much to do for everyone, Dad and Grandad could be fishing off the Side Deck of the boat while the kids are riding in the Skiff under the Captains watchful eye and Mum, Grandma and Aunty are lounging on the upper deck with a book and a cold drink. 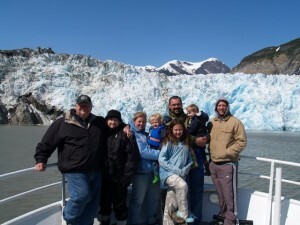 Custom Alaska Cruises is the perfect place for families to spend quality time together. What better way to experience a reunion with family than aboard your own custom cruise ship? 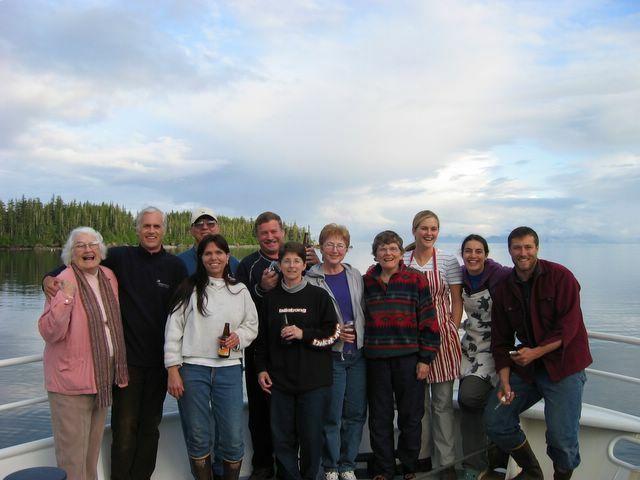 Hosting multi-generational family members with Custom Alaska Cruises is an excellent opportunity for a family reunion cruise vacation. Our family reunion cruises can accommodate the whole family, from elderly grandparents to the youngest toddler, in complete comfort and safety. The primary eating, sleeping, and lounging areas of the boat are all on the main level, and offer easy access to water activities and docks. The open plan of our galley and aft dining area allows for camaraderie and visiting during all hours of the day without disturbing those sleeping in the forward cabins. Viewing the scenery from our topside pilothouse and day lounge while we cruise the coastal waterways is fun for the whole family. Enjoy learning navigation tips from the captain, or take a turn at a wheel watch (18+). Adults can relax in their staterooms or comfortably gather in the pilot house to hear sea stories or read up on Alaskan natural history while teens and small kids enjoy the wind and water from our sheltered and safe outside decks. 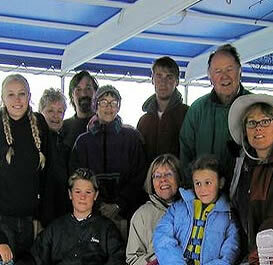 Alaska small ship cruises with family members of any age can be experienced in any manner you wish. Our boat's size and capabilities will ensure that everyone has ample space for their shared or solitary activities while on your family reunion cruise. Members can enjoy activities such as hiking, fishing, iceberg exploring and viewing wildlife, just to name a few. Take advantage of the adventures afforded by small-ship traveling and plan an Alaska family reunion cruise with your family with Custom Alaska Cruises. 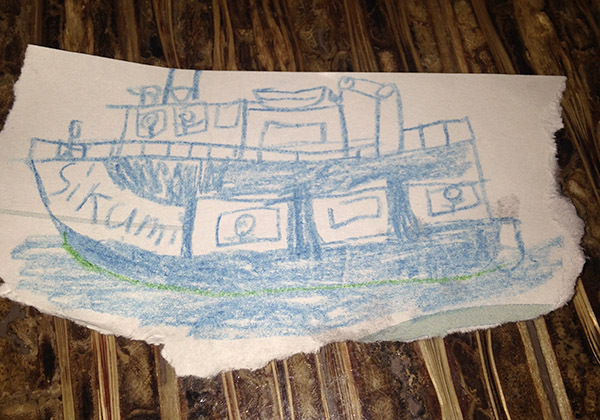 "I would like to rave about my trip on board the Sikumi! In July I spent a week on the Sikumi with my 5 and 7 year old girls along with lots of family and friends. Before the trip I had concerns that the kids at times might feel cooped up or that I would be worried about their safety. It turned out that the fun was endless and within the first couple of hours on the boat I felt very relaxed about their safety. The kids had lots of firsts on the Sikumi - first time seeing whales up close, first time capturing an iceberg, first time seeing a 200 pound halibut, first time doing a moonlight hike, first time being drenched by spray from the bow of a boat, and on and on. They're still talking about their experiences almost a year later. We went on some great hikes, had beaches and remote coves all to ourselves, and saw beautiful scenery everywhere. The skipper knows all the good spots. major benefit for me was that my kids, who are normally up at the crack of dawn, actually slept in n the boat. We all came home feeling relaxed and rejuvenated with lots great photos and stories to tell!"